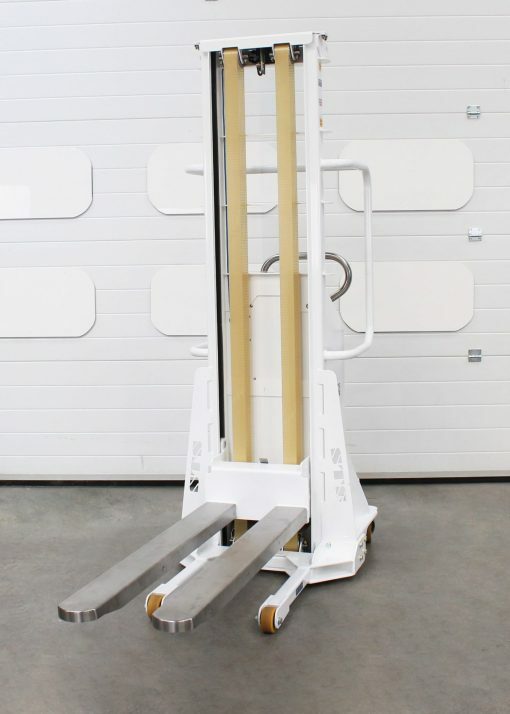 This custom drum stacker features graduated lift-and-lower speeds, long stainless-steel forks and a 150kg rated load capacity. 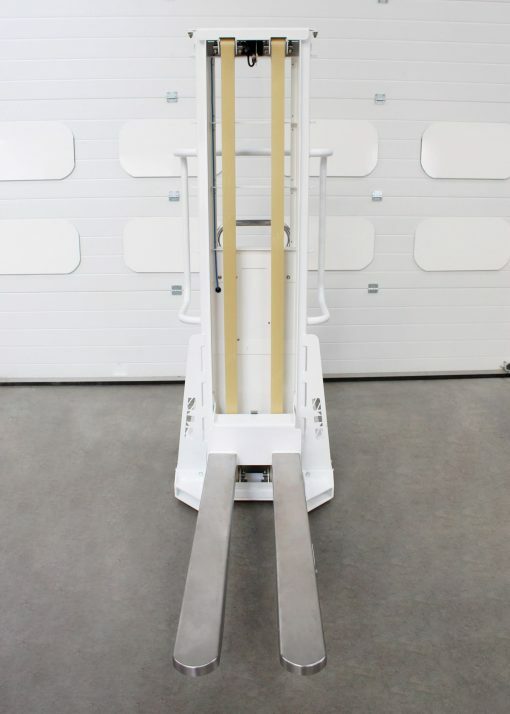 We designed this unique stacker for use in a clean environment. 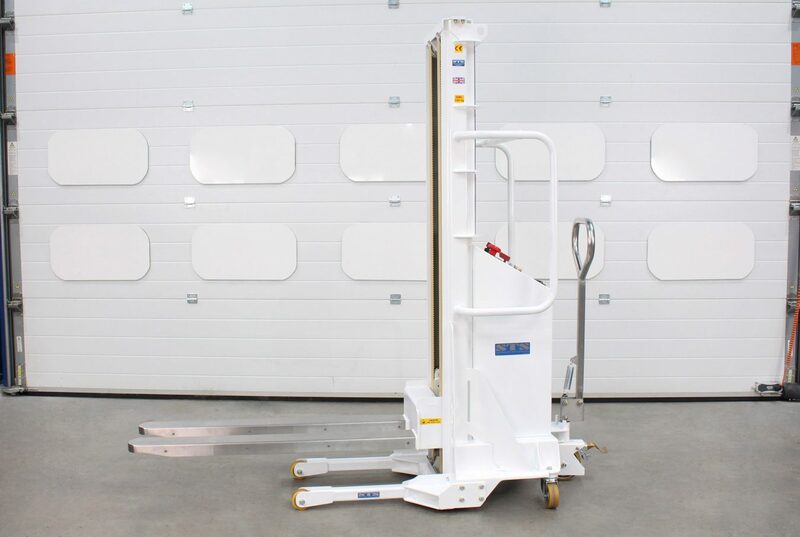 It features an electric dual-belt lift system with adjustable lift-and-lower control, while the narrow, lightweight design and rear-tiller steering make the unit versatile and manoeuvrable. RAL 9003 double powder-coat finish. 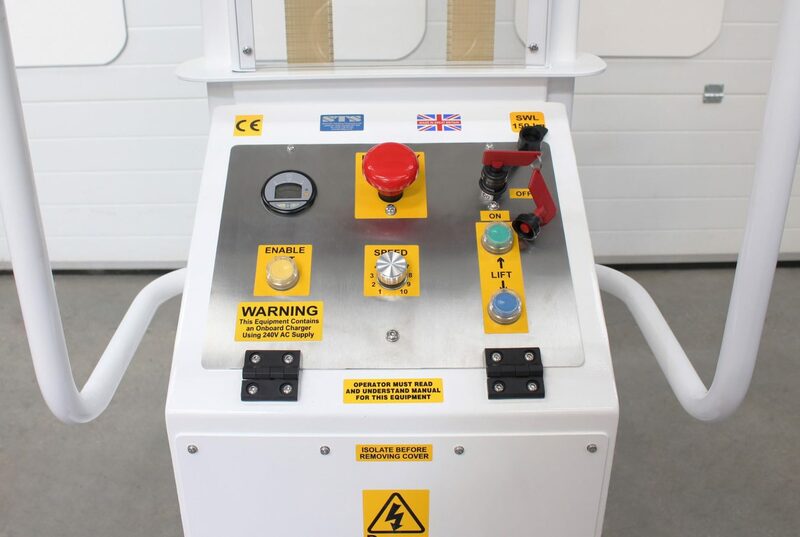 As we design and build our equipment, we have full control over our products and output. By manufacturing everything at our site we can modify products down to the finest detail.